My heart goes out to all the rescue groups out there, Atlanta and surrounding areas…since I have been involved with Atlanta Lab Rescue I have only seen a small portion of the rescue world. I have been in the midst of sad stories, joyous new beginnings, funny transport stories, and amazing ‘small world’ experiences. I am pretty sure that all my friends think I am dog-crazy now, but I assure you, there is worse out there! Ha-ha! My little Koz is with another foster home this weekend and my heart is a little sad. Sad because I totally vetted the last family that ‘adopted’ him. I met them and spoke with them several times before I left Koz at their house last weekend. I was NOT expecting their call on Sunday, at all, telling me they were not going to keep him. They said he was showing signs or aggression, and I heard them out when they described the stories. I cannot dismiss that how Koz was acting was aggressive. However, I also stand with Koz because he sounded scared to me. Like he did not have an advocate in that home, someone to teach him that he was safe and loved. Part of that lesson is discipline, and the other half is love and affirmation. I guess I am mostly sad that they did not want to take the time to invest in him. We have had Koz in our home for 6 weeks now, and in the beginning I was ONLY taking them for the weekend. Koz loves being a part of our family, but he also really needs his own family. I am saying special prayers for this little guy today, and I wanted to share him with you all here just in case there was anyone reading who was looking for a little snuggle bug to add to their pack. 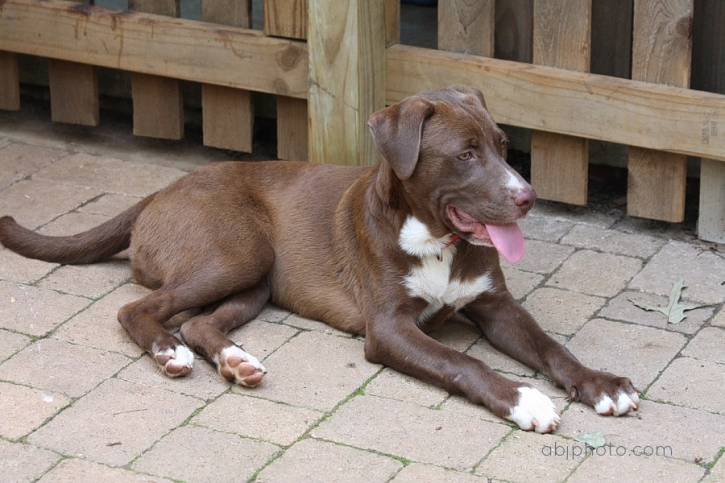 Koz is about 7 months old, he is a mid-sized lab mix, and he is SUPER chill. 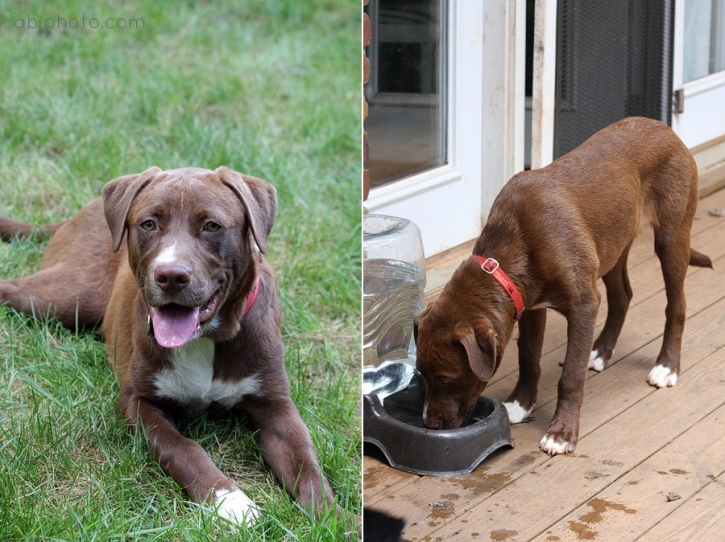 Koz will not instigate play, but loves to play with other dogs, he is a fast learner and has already mastered the basics. He is house-trainned, will sleep in the crate, but hates to be left in there during the day. Koz loves to sleep in the dog bed with my dogs, and just likes being close. He still has a lot to learn and would love to be in a home with another person who has the time to continue to train him. I totally see Koz riding shot-gun with you around town, sleeping under your chair at the coffee shop, and playing with you in the park. If anyone is interested, please email info@atlantalabrescue.com for more details. ***UPDATE*** Our little buddy has been adopted!!! So thankful for his new home!